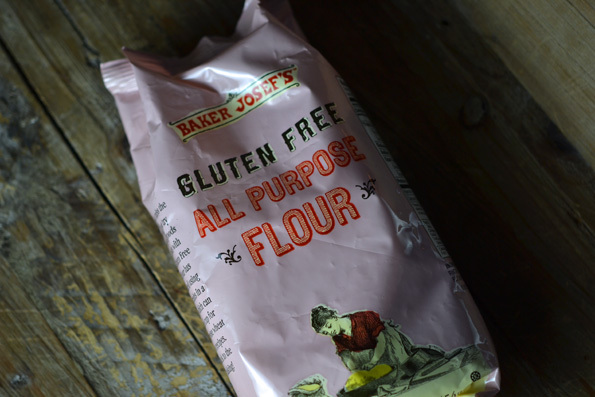 As a regular Trader Joe’s shopper, I’m happy to tell you that they now sell an all purpose gluten free flour! My unbiased review so far? It’s complicated. See below for product details, the product in use and detailed ratings. Manufacturing Practices: There are no warnings listed on the package about possible cross-contamination with other allergens. I have sent an email to the company through their website asking those questions. Stay tuned for an update. Thank you so much for contacting us. Our new Gluten-Free Flour is made in a peanut and tree nut-free facility and on dedicated gluten-free equipment. The facility does process wheat on other equipment, but the facility’s allergen control program is so strict that the flour tests at well under 20 ppm of gluten. Please know that we would never actually label a product with the words “Gluten Free” unless it tests at under 20 ppm of gluten or is made in a dedicated facility. My guess of the source of this gluten-free all purpose flour: King Arthur Multi Purpose Gluten Free Flour. Trader Joe’s almost always purchases products like this from companies that specialize in the niche, and puts their label on the product (a totally legitimate practice called white labeling). Based upon the ingredient list, and the product performance so far, I believe that it is King Arthur’s product. **UPDATE: King Arthur Flour has contacted me and indicated that the Trader Joe’s gluten free flour is NOT their flour. I take them at their word, so I stand corrected! I used it in gluten free calzones. Notice anything? Almost no matter what I did, they simply wouldn’t brown. This blend has waaaaaaay too much starch in it. 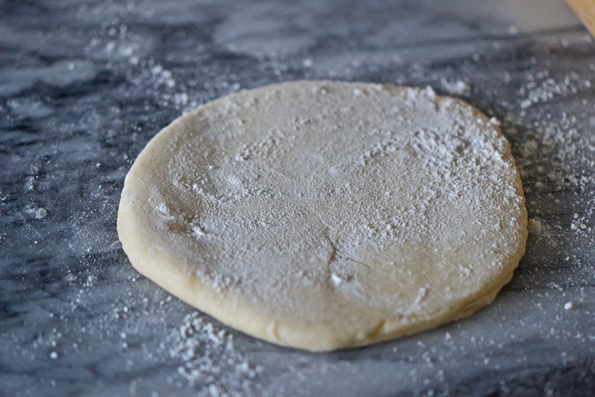 The dough was very, very easy to handle, though, but frankly that is mostly due to my crackerjack recipe (I know – so sorry I can’t share it now!). 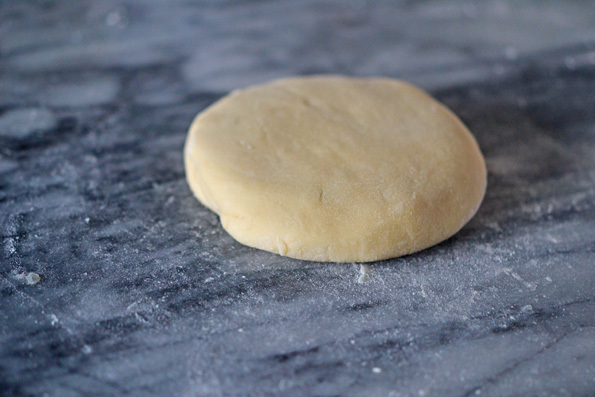 And the rice flour does not seem superfine to me, but that doesn’t matter very much when you’re making yeasted dough since the proofing time softens and expands the grains. But when I tried baking the dough until it browned, it baked up like a pale cracker and I literally had to toss it in the trash. And there’s olive oil in the dough! Not cool. My children complained about the texture, saying that it was chalky, and the pizza itself dried out very quickly and easily. I experience none of those things with my favorite gluten free flour blends. I then made the same super secret recipe for gluten free pizza crust with my Better Than Cup4Cup Flour Blend, changed absolutely nothing else, and it browned beautifully and tasted great. The pizza was also much, much more fragrant as it baked. It tasted … like great pizza. I will test this flour in other recipe categories (cookies, cake, pastry), and report back. I was really pulling for this flour. I am a regular Trader Joe’s customer (in fact it’s my first shop, every week), and although the price isn’t as good as other blends are when you buy them in bulk, I love seeing basic, important gluten free products in mainstream markets. Especially markets with the vast reach of Trader Joe’s. I think the flour will do just fine in muffins, cakes and cookies (although it will likely be gritty – I so wish they used superfine flour), but I think it will make dry pastry that is difficult to work with. All that being said, I’m thrilled to have something there for when you’re in a pinch and need something to work with. For those of us who enjoy a nice chart, I created one that mimics those I created when I conducted The Gluten Free Flour Blend Test in 2012. P.S. Don’t forget your copy of Gluten-Free on a Shoestring Quick & Easy! I can’t keep the blog going without your support, but with you – it can go on forever and ever! Hmmm… I made your funfetti cupcakes with this flour and they came out delicious. Thanks for the review. I’m glad you had a good experience, Marissa. The fact that this blend is very high in starch means that it doesn’t perform well in yeast breads, but should still perform well in quickbreads (like muffins and cupcakes) and in cookies. However, the non-superfine flours in the blend may bother some people, and not bother others. It seems it doesn’t bother you. Of all the gluten free King Arthur Flour products out there, the all purpose flour is the only one I don’t like for the very reasons you outlined in your product test. Starchy, gritty and won’t brown for d***. Well, I’m not wild about their bread mix either but that’s another subject. Thanks for your intrepid investigations, Nicole. Thank you for everything you do. I was diagnosed 2 years ago and pretty much gave up baked goods for several months. Let me tell you – that is no way to live! I was using Pamelas mix for most of my baking, with varied success, but when I tried to make your naan recipe last week (and it failed monumentally) I finally ordered some Better Batter. I just made the donuts from your new cookbook – amazing! Thank you thank you and another thank you from my (non GF) husband who would eat your lemon bars everyday if I let him! I used King Arthur this week to make an angel food cake. It came out great and my hubby, who is not GF, said he couldn’t tell the difference–and his favorite food group is dessert!! So hope that helps some of you looking for ways to use it. Love your new paleo type recipes. Keep ’em coming please!! I have extensive experience with King Arthur Gluten Free Flour. It is generally fine for cakes and cookies, and quickbreads, but I don’t prefer it for any of them because it is so high in starch. On my weekly trek to town today .I stopped at Tradert Joe’s and noticed the flour but put it back because it had 0 grams fiber . But, I also noticed a pound bag of almond meal for $3.99. How, and how difficult would that be to make into almond flour .It looked pretty much like whole wheat flour. How fine does it need to be ??? It would sure be more reasonable if not to much work or better yet if it was ok as is ????? I’m afraid that Trader Joe’s almond meal is not at all the same as the blanched almond flour that is used in almond flour baking. It won’t work at all, Carole. Sorry! I’m with Tiffany. I can’t digest Bob’s Red Mill GF flour. Tried the pizza dough mix and gave me wicked stomach cramps. But I do like the GF hot cereal, it’s yummy with no side effects. Reminds me of cream of wheat when I was a kid. Thank you so much for your review. When I began my GF journey, I kept buying all kinds of flour and wasted so much money. This review helps me avoid spending money for yet another. I would also comment that I tried TJ’s GF Ryeless Rye Bread and the taste was OK but it seemed that they bagged it before it was cool and it was all stuck together. I quit buying it. I’m newly GF as well as my 15 year old daughter, so I am still a little timid in baking with GF flours and such. This is great information and I have purchased both your books and can’t wait to try some of the recipes. Thanks for paving the way. As I have to avoid dairy as well as gluten, I cannot use your Better that Cup4Cup. What do you consider the next best all purpose blend that I should be using? Would it be another of your homemade blends, or Better Batter? FYI, I was diagnosed as gluten intolerant a year ago, and as a passionate baker and am still grieving over the difference in gluten free baking verses regular. I just can’t get used to the chalky taste and texture. 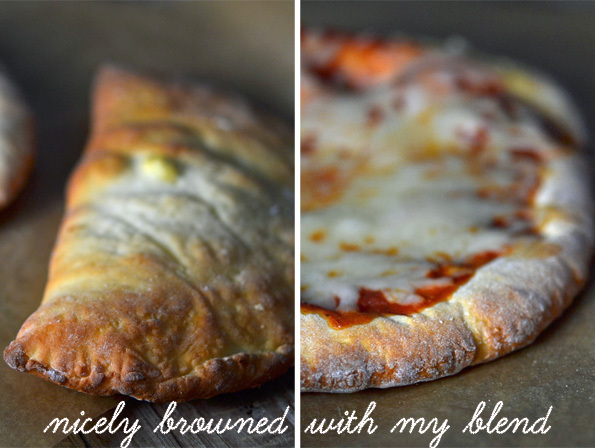 I have been using Carol Kicinski’s/Simply Gluten-Free all purpose pastry flour. Have you ever tested this flour? You must be using the wrong flour . Am 68 and a constant baker and most everything tastes terrific. Stick with Nicole and you can’t go wrong. My husband has celiac disease and I totally eliminated gluten and am perfectly happy being gluten free by choice. The only thing I really miss is a decent hot dog bun and just bought the new england bun pan and hope to resolve that within the week. My husband found out he had celiac at 72. My grandkids still eat everything I bake with gusto. Don’t give up. I agree with Carole, Kris (thanks, Carole – oh, and there will be a recipe for soft hot dog buns in Gluten-Free on a Shoestring Bakes Bread). There should be nothing to grieve when it comes to taste and texture. I have not tried Carol’s flour, but I just took a quick look at the ingredients and it is likely quite high in starch, which would likely account for any chalky taste and texture (which is what I found with the Trader Joe’s flour). That bland, chalky taste is generally the result of too much starch, although I must stress that I have not tried her flour – and I also don’t know what recipes you are using. I have done extensive research on flour blends that I believe work relatively well (just click on the flour button in the righthand sidebar for a summary with links). If you would like to blend your own flour, I’d use one of my “mock” mixes. If you are looking for readymade, I’d start with Better Batter or Cup4Cup. There ARE good flours out there, both using rice and those that use no rice at all. Keep reading reviews and the posts that follow for a wide variety of individual responses. Like the post here that likes some Bob’s Red Mill products but not all (and I’ve got to say that the shortbread I made from Bob’s GF mix was not only chosen as better than the 4 wheat shortbreads we had at a party earlier this year, when I made it for a small wedding, I had the judge and others clamoring for my recipe). 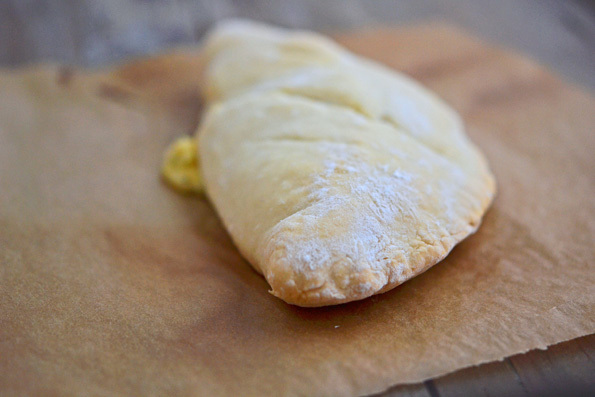 Sources, like Nicole’ recipe(s) and the local flour mix I use, can be made/found! Real pierogi (not the starch bombs sold in freezer sections) graced our table for the first time in 30 years just this past fall. Success and wonderful tastes are possible! Pleasure, Shawn. For you? Anything. Thank you again for being my hero in making my GF world a better and easier place to live! So good to know. I use your blends and have found the most success with them. So, I’ll stick with those and pass on the TJs. Thanks for the great recipes in both of your books!! A friend just told me there was a review of this same product, including results of baking cookies, cakes etc. on the Baking Bites blogspot. 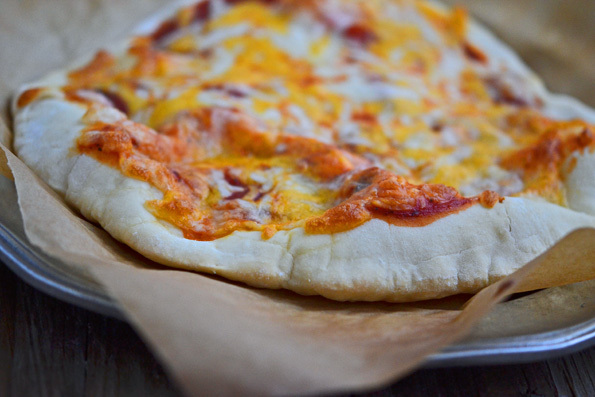 So glad you tried it out for us all, but the photos of your new pizza recipe are making me drool! I have yet to find a gf mix at T Joe’s that I like, and they are my first grocery stop as well. Same with King Arthur. I want to be supportive of their efforts, so I have tried several mixes from both of them and they just aren’t very good. I tell my local guys all the time that I would buy more of their gf mix-type stuff if it was any good, and their low sales have more to do with the quality of the product than lack of interest in gf items. This just makes me even happier that I stumbled on your blog, so I can have yummy baked goods. I take your high standards as a sign of real progress, Michelle! I don’t want your local guys to suffer, but they should do some research. There are much better products out there! I steered a lady away from the Ener-G section (far away, while making the sign of the cross at it) at the local Whole Foods-ish place today. The fact that I had a better place to steer her to is huge sign of progress! My celiac neighbors who have been gf for 20+ years have told me horror stories of the state of gf food even 10 years ago. I love that we can be gf food snobs and don’t just have to accept crumbly cookies and dry, dense bread as our lot in life. I would think that it’s the dairy in the C4C blend that helps with the browning. We can’t use C4C because of the dairy. I have made my recipe with Better Batter, my “mock” Better Batter, Cup4Cup and my Better Than Cup4Cup. It browns just as well with all 4. It’s not the lack of milk powder in Trader Joe’s that is the culprit. It’s the incredibly high level of starch. we actually didn’t like the TJ’s GF oats — as much as I really, really wanted to! They just didn’t have the same nutty taste I wanted in a good slow-cooked oat (we eat them pretty much every day for breakfast). Bob’s Red Mill GF Oats seem to fit the ticket and are the ones most often in our bowls (and baked goods) but often I find myself reacting to them too … anyone know if Bob’s is a decent GF oat source? My solution to non-superfine flours isto whirl them around in my vitamix (might work with other blenders) for a bit before I use em. Not as good as superfine, but, not bad. I have a coffee grinder that I use to do the same thing. Works like a champ to get things superfine. Where do you get the ingredients for your Better than cup4cup flour blend? Authentic Foods, usually, for the rice flours. The other ingredients don’t matter as much, Teri. Could also be Bobs Redmill. Same ingredients and looks the same. Doesn’t bobs have garbanzo or garfava? Yes, you’re 100% right, Larissa. It is not Bob’s. That is a bean flour blend, and although they call it an “all purpose” flour, it is anything but all purpose. I cannot digest Bob’s Red Mill products at all, yet people keep gifting me with Bob’s they found on sale. Okay, Tiffany, that is hysterical. Bob’s stuff always shows up in discount stores! Years ago, well-meaning friends of all kinds would buy pretty much anything they saw in a store with a “gluten-free” claim, and it was so hard to dissuade them from spending $7 on a 3 ounce bag of cookies for us! Their hearts were in the right place, for sure. Nicole, I can’t wait to see what you’re experimenting with next! Thanks for testing the Trader Joe’s flour, now I know not to buy it. You saved me money and aggravation trying to make it work in my recipes. You go Girl! I’m so glad, Sara Jane! I am definitely going to test TJ’s flour in the other categories to see if it’s worthwhile as a backup (and I’m really really hoping it is). I just really wish TJ’s had picked a better blend. It’s not like blending GF flours is so out of reach any longer, you know? Reading through all these comments makes me wonder: how about blending Trader Joe’s GF Flour with TJs almond meal to balance their GF blend that is too starchy. Almond meal would add color as well as increase the nutrition. The dry blend jar of a Vitamix would be great for this, Nicole:-) I use mine every day. I add 3-1/2 cups organic baby spinach to my morning smoothie. The Vitamix makes the spinach disappear and with a half grapefruit or some frozen pineapple cubes or banana, the spinach taste is masked!